Hurricane Matthew has come and gone here in Orlando which means DisposAll has resumed normal service. 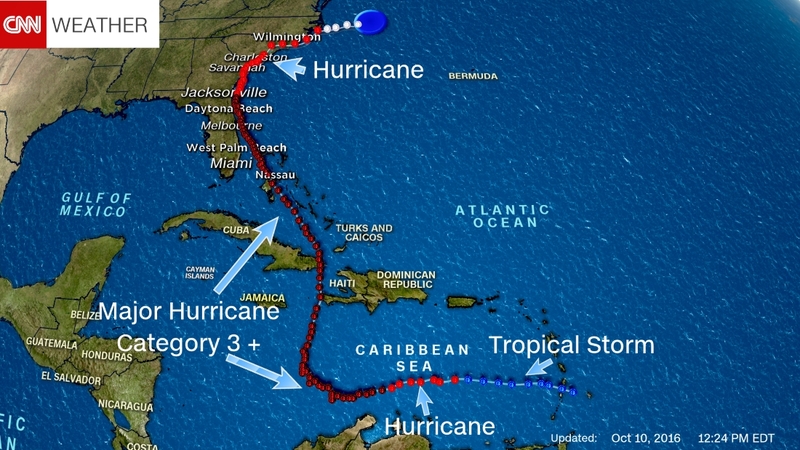 The map above shows just how dangerous this hurricane was and we are all thankful that it was not far worse than it could of been. It is now being classed as a post-tropical cyclone but is still packing maximum winds of around 75 mph which is classed as a Category 1 hurricane, forecasters said. Here in Orlando it looks as though the bumpy days are past us, but that does not mean we shouldn’t still take precautions as DisposAll wishes everyone a save and happy return. Spring Cleaning: The Do’s and Don’ts! DisposAll is welcoming a new addition!